Life is a gift. Each day is precious. We have all been born with talents and abilities and a purpose to serve. But life is also deceptively easy to squander. We waste a few minutes and then notice that days have slipped by. We count down the time to leave work at the end of a day and then watch our weekend blaze by. We say "yes" to a lot of things that aren't really aligned with our highest purposes in life and give away our time too cheaply. We have clocks in our cars, on our hands, on our walls, and on our computers, but we always seem to be out of time. We rush and hurry and scurry about but never really seem to get much accomplished. We keep telling ourselves that we will slow things down, live our priorities, and make time for the important things as soon as . . . .
That phrase, "as soon as," has enabled the slaughter of thousands of precious hours of our lives. We use it to escape from the fact that we aren't really doing all our dreams and purpose require of us, but "as soon as" reassures us that we will "some day" and keeps us wasting time. Then, at some imperceptible point along the way, "as soon as" becomes "if only I would have." We see more in our past than we do in our future. We begin feeling as if it's too late. We start thinking we've blown our chance to live the life we always felt, deep down inside, that we should, that we could, and that we would. But time doesn't stand still. It waits for no man. It rushes by us unmercifully. "Some day" never comes. What makes you come alive? What do you feel deep inside that you can and should do with your time? What is your great purpose, aligned with your obvious abilities, that God has planted within you? In the words of William Wallace in the movie Braveheart, "Every man dies, not every man really lives." May that statement not be true of you. May you live while you're alive! One of my favorite authors is the late Patrick O'Brian. In an insightful description of one of his characters, he says that the person in question had made it to middle-age somehow without life "sanding the cheeriness" off of him. I loved that depiction. As with all art, it's beauty comes from its alignment with reality. You will find ample opportunity in your life to lose your cheeriness. Life is hard. There will be bad breaks and unfairness. Things will happen. Nobody promises smooth byways and easy streets, and if they do, run. But life is also wonderful. It is bright and interesting and full of the wonder of God's reflected glory. There is knowledge to gain, vast territories to explore, and ourselves to understand. There are extraordinary people of strength and heroic spirit. And there is the precious gift of time. Romance, to me, is living life in full appreciation and awareness of the wonder of God's world. Romance means becoming, as Mark Twain said, "a prodigious noticer." Romance is finding pleasure in the small things; like the rippling sound of water against dock pilings, warm sun on skin, and the whisper of a toddler in your ear. Romance is notcing the sublime in big things; the danger and beauty of an ocean, the power and thrill of an airplane, the magesty and intimidation of a mountain. Romance is finding the good in others; their thoughtful gestures, their warm expressions of care, their smiles, their humor, and their friendship. Romance is shared experiences, memories, and inside jokes. Romance is designing your own home, taking care in your photography, expressing yourself through music or writing, and finishing a piece of wood. Romance can be the deposits of good into someone's life, giving a well-deserved but rare compliment, and buying a thoughtful gift. Romance is the greatful expression of our ability, talent, warmth, and effort, just because. Romance is the steadiness of dependability, and the perseverance of the long-haul. Romance is family tradition and proud heritage. Romance is a choice. Dissected or reduced to its component parts, romance disappears like a shy muse. Courted and summoned, romance sparkles and lights softly upon its caller. Clear thinking, pure motives, honest communications, and the service of others fuels the power of romance and appreciation in our lives. Selfishness, pressure, short-term thinking, and materialism wilt its wings and ruin its ability to please. What I am talking about is the passionate expression of ourselves into our whole lives through the things we do, the people we touch, and the principles and the God for which we live. God has given us one life to live. It is given to each man once to die, and then the judgment. The world doesn't need any more dour Christians, but it doesn't need silly ignorance of our true condition, either. The world needs true joy that expresses itself in a spark in our eyes, suggesting that we have discovered the truth about life, ourselves, our Creator, and our purpose. It is then that they may call us romantics. May we take it as a compliment! What personifies this concept in your life? What small things, or large, bring it into focus for you? At what moments do you feel the most "alive" and in touch with the cheeriness of your life? What gifts do you see around you in your life that remind you of your divine spark? "The song that I came to sing remains unsung to this day. How many people never stop to consider that they came to sing a song? Of those few who are aware of it, how many of them waste their days "stringing and unstringing" their instrument? People are experts at "getting ready" for things; getting ready for college, getting ready for the wedding, getting ready for their first home, getting ready for vacation, getting ready for football season, getting ready for the holidays, getting ready to hit their goals, getting ready to build their business, getting ready to go on that diet, getting ready to get ready to live, once and only once they are ready. But we will never be "ready." There are only days of our lives. "Ready" is the devil's trick to steal from us the wonder of God's gift of time. You were born a magnificent creation to begin with. Play the song you were born to play. There is a spirit of enterprise distinctive of all true leaders, who see what needs to be done and do it, without hand-holding or waiting for orders. Action is a keystone of leadership. The very concept of initiative stands upon the platform of accepting personal responsibility. 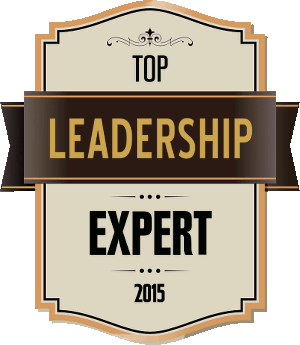 Leaders function while called upon to make decisions in often confusing situations, in possibly dangerous environments, without adequate time and/or information, making decisions to the best of their ability, then striving to make those decisions right. In short, leaders must be able to decide, and then take full responsibility for their decisions. The initiative of a leader also births creativity and ingenuity as the objective remains frozen and the means are bended toward its purpose. Finally, initiative should never be confused with recklessness, which results from either ego or ignorance. Why is it that when we are little children everybody tells us to dream big dreams and realize that "we can be anything we want to be," but when we grow up they tell us to "be realistic?" Why is it that when I spent tens of thousands of dollars on a formal education everybody said, "good job, you're doing so well," but when I spend just $10 on an educational CD they tell me I'm getting ripped off? Why is it that our country has been known as "the Land of Opportunity" but more and more of its citizens want it to be a "Land of Equalized Results?" Why does someone running for higher office talk about how wrong it is to make large amounts of money when his jet plane and security force are paid for by taxes collected from those who made the money in the first place? Why is it that someone who succeeds at something is suddenly called an exploiter of those who freely chose to pay for his services to them? Why is it that mediocrity is heralded while excellence is painted as greed or arrogance? Why do "intellectuals" cling to the concepts of communism when hundreds of thousands of deaths were required to try to convince the world that it worked? Why is mankind doomed to repeat its same mistakes over and over again? The quotes from the last post are, of course, from Francisco d'Anconia in the novel Atlas Shrugged by Ayn Rand. They go straight to the heart of the matter of how people's thinking is divided these days. Understanding wealth and the truth of economic prosperity are critical to long-term survival of a nation or company or entrepreneur. Misplaced compassion which taxes the engine of intiative and gives to the unproductive, to the uninformed, sounds so good on its face. It also works very well at the voting booth. All one has to do is appeal to some group by using the power of either envy or greed, promising something for nothing, taken from others for their benefit, and explained under banners like "unfair," "equality of results," and "windfall profits." Those that propose such programs are either extremely ignorant of the truth of how economics work, or they know very well how things work but are willing to destroy the productive for the sake of their own power. In other words, they are either ignorant idealists with misplaced compassion, or cold-hearted power brokers rising on the destruction of the contributors. These thoughts are important to mull over as we face an important national election. Either the government is in charge of handling the wealth of a nation and distributing to whom it pleases in the moment, or the productive people and business owners who actually create the wealth in the first place are to be left in charge of the fruits of their own production. The more a nation moves in the former direction, the less freedom its people have. The more it moves in the latter direction, the more freedom its people have. And both tend to develop momentum in their continued direction. Governments that seize assets and distribute them to those who didn't have an initiative to produce them tend to grab more and more power over time, until the groups that were initially served by its redistribution are its next victims. On the other hand, when a government leaves its productive creators free to own their own first-fruits, incentive is increased and even more brilliant output results. And they lived happily ever after, including the little red hen, who smiled and clucked, "I am grateful, I am grateful." But her neighbors wondered why she never again baked any more bread. (Author unknown, but very smart). The following quotes speak to the division of thought that exists in America today. As politicians promise favors from the platform, as voters clamor to vote along lines of envy, greed, jealousy, and class warfare, I am convinced that the words spoken below are as true today as when they were first written. The laws of economics are broken only on the back of a nation. If a people lose their economic freedom, and this can only happen when it is taken by force, they will always lose their personal freedom along with it. 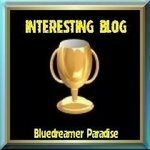 I will post another article shorty, expounding upon these statements. But first, a contest. Can anyone guess who said the following? (Hint: they are all from the same source). "Money is not the tool of the moochers, who claim your product by tears, or of the looters, who take it from you by force. Money is made possible only by the men who produce." "Money rests on the maxim that man is the owner of his mind and his effort." "Money is the scourge of the men who attempt to reverse the law of causality - the men who seek to replace the mind by seizing the products of the mind." " . . . you will see the rise of the men of the double standard - the men who live by force, yet count on those who live by trade to create the value of their looted money - the men who are the hitch-hikers of virtue." ". . . when you see that money is flowing to those who deal, not in goods, but in favors - when you see that men get richer by graft and by pull than by work, and your laws don't protect you against them, but protect them against you - when you see corruption being rewarded and honesty becoming a self-sacrifice - you may know that your society is doomed. Money is so noble a medium that it does not compete with guns and it does not make terms with brutality. It will not permit a country to survive as half-property, half-loot." "Do not expect them to produce, when production is punished and looting rewarded." "You look upon money as the savages did before you, and you wonder why the jungle is creeping back to the edge of your cities. Throughout men's history, money was always seized by looters of one brand or another, whose names changed, but whose method remained the same: to seize wealth by force and to keep the producers bound, demeaned, defamed, deprived of honor." "To the glory of mankind, there was, for the first and only time in history, a country of money - and I have no higher, more reverent tribute to pay to America, for this means: a country of reason, justice, freedom, production, achievement. For the first time, man's mind and money were set free, and there were no fortunes-by-conquest, but only fortunes-by-work." "If you ask me to name the proudest distinction of Americans, I would choose - because it contains all the others - the fact that they were the people who created the phrase 'to MAKE money.' No other language or nation had ever used these words before; men had always thought of wealth as a static quantity - to be seized, begged, inherited, shared, looted or obtained as a favor. Americans were the first to understand that wealth has to be created." "Now the looters credo has brought you to regard your proudest achievements as a hallmark of shame, your prosperity as guilt." Friendship is a lot like art; we find it difficult to define, but we know it when we see it, or more accurately, we know it when we feel it. The width and depth of friendships in a person's life can have a lot to do with overall happiness and sense of well-being. But a term so common that we all assume we know what it means may, for that reason, be worthy of a deeper look. Some people have a lot of friends. Some have few or none. Some friendships last a long time, others are fleeting and only for a season. And while no one should or could define the depth and quantity of friendships for another, there is a certain amount and quality that is required for all of us as part of the overall picture of happiness and fulfillment in our lives. We ignore this truth at our own peril. Friendships are a special kind of relationship where two people, for whatever reason, develop a bond. Perhaps they have something in common, or they enjoy an activity together, or they just seem to "click." Over time, the predictability, comfort level, and mutual gain from the relationship strengthens and the bond of friendship is formed. It requires nothing formal, nothing so much as even an admission that it exists, but it exists nonetheless. Friendships grow, as all good parents should know, on the truth that love is spelled "T-I-M-E." As time passes it allows the connections of friendship to strengthen. Memories are made, events are encountered together, and an overall environment of trust and predictability is fostered. There must be some degree of openness and honesty for anything real to develop. Unselfishness and some amount of mutual respect are also required. In the end, both parties must somehow be "served" by the connection for it to last. Friendships, then, grow quite naturally out of a bond that develops between two people for their mutual enjoyment and gain. But friendship is not so clinical as all that makes it sound. Real friendship is something quite special, something to be treasured, something to be respected and maintained and provided for over time. Real friendship can become one of the most enjoyable portions of our time on this earth. How does one become a friend? How does one attract and maintain friends? Friendship is an art of the heart. The more you have a heart for other people, and the more you are able to express it in ways sincere and creative, the more people will be attracted to you on a level of friendship. I have been blessed with many deep and lasting friendships in my life. I attribute these to the Grace of God in bringing them into my life more than any ability or worthiness of my own. Nevertheless, I cherish them and seek to foster and strengthen them as if they were entirely my responsibility. These people are special, and they have provided so much for me over the years that I want to give back into their lives as well. In other words, I want to be worthy of their friendship. A quesion we should consider is whether we are good at making friends? Are we the kind of people others are attracted to? Do others know that we care? Can we be counted on in a time of need? Is our heart right toward others? Do we have a heart for people? Are we unselfish and focused on others? A good exercise is to make a mental list of the poeple in your life who you consider to be your closest friends. Then, consider who might put you on such a list! You may like the results of this thought process, or you may not. But it would be wise for all of us, whether we feel successful in the arena of friendships or not, to make some careful assessments of our ability as artists on the canvas of frienship. We could all stand to pick up the brush of "service to others," or of "patience and understanding," or of "encouragement and expression of affection," or of "listening without judgment," and apply them to the relationships in our lives, remembering that the best way to gain a friend is to be a friend. 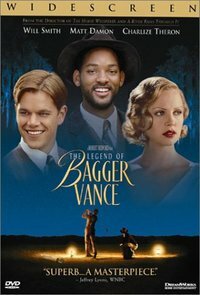 One of my favorite movies of all time is The Legend of Bagger Vance. Not that I'm such a great golfer (in fact, I'm not a golfer at all, although my boys are recruiting me), but the lessons, principles, and cinematography (good job, Robert Redford) are exc ellent. The precept is that a young man, who was a gifted golfer as a youth, went to World War I and came back messed up. He couldn't golf anymore, feeling responsible for the death of his comrades, and unable to clear his head. 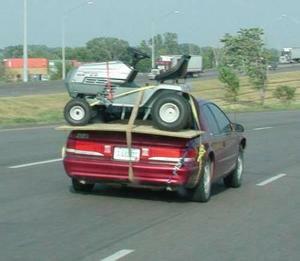 Ten years later a mysterious caddy named Bagger Vance shows up to work him through his challenges. The young man, called Captain Juna, said he had lost his swing. 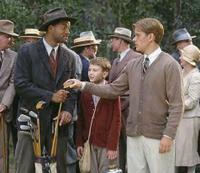 Bagger Vance shows him what an "authentic swing" is by referring him to his competitors. Although his competitors had radically different styles, they were both effective at the game because they played it their way, their authentic way, doing what they were born to do. Captain Juna goes through many ups and downs during the big three day tournament. Sometimes he catches a break and does well for a while, but then his reaction to it is arrogance and cockiness. Then he messes up horribly and gets dejected and loses confidence, whining that he shouldn't be playing at all. Finally, when it is almost too late for Captain Juna to have a chance in the competition, Bagger Vance pulls him aside and says, "It's time." Juna resists at first, but Bagger Vance presses the point, telling Juna that it is time to move on with his life, time to drop the baggage of the past, time to find his authentic swing and do what he was born to do. I love this movie because I see its application so much in the development of leaders and in helpling people achieve success. Rarely do I meet people who lack the ability to become great leaders and achieve great things. Rather, I meet people who have been through some wars in their life and it has left their heads messed up. They feel responsible (as they may be) for damages in their life, and they deem themselves not worthy of accomplishing anything. It's as if they have already died and are waiting to make it official. Add to this the negative messages the world sends them about "not trying too hard," not wasting time trying to achieve greatness, not risking anything, not getting their "hopes up," and you can see that their self-talk, mixed with the world's "mediocrity talk," is a breeding ground for insignificance and unhappiness. But just like Bagger Vance, I get to tell people that "it's time," it's time to find their authentic swing, that thing that they were born with the skills to do, that thing that makes them come alive, that thing that they know, deep down inside, that they are supposed to achieve. This usually involves reminding them that they were born with the seeds of greatness inside. That God makes people and he doesn't make mistakes. That they were born for something meaningful, even if the world doesn't agree with it. Bagger Vance has a term in the movie he calls being "in the field." It's when a person is fully authentic, doing what they are supposed to do, using their God-given gifts the way they were intended. It's as if everything comes together at moments like that, and it doesn't matter what the critics say, what the world says, or even what your relatives say, when you discover your authentic calling and are living right smack dab in the middle of it, you are "in the field," and there is no better feeling in the world! Sadly, almost nobody that we run into in our daily lives is living with anywhere near this kind of purpose or authenticity. How tragic. A person is born with all the hopes and possibilties that life has before them, then somehow just wastes it in days of insignificance and misalignment. Don't let that happen to you. I don't care how old you are, what "wars" you've been through to this point, or what Forbes Magazine might say about you, it is only up to you how you live your life. It has to look right to you, and you only. You were born and built for a purpose, and it's not too late.